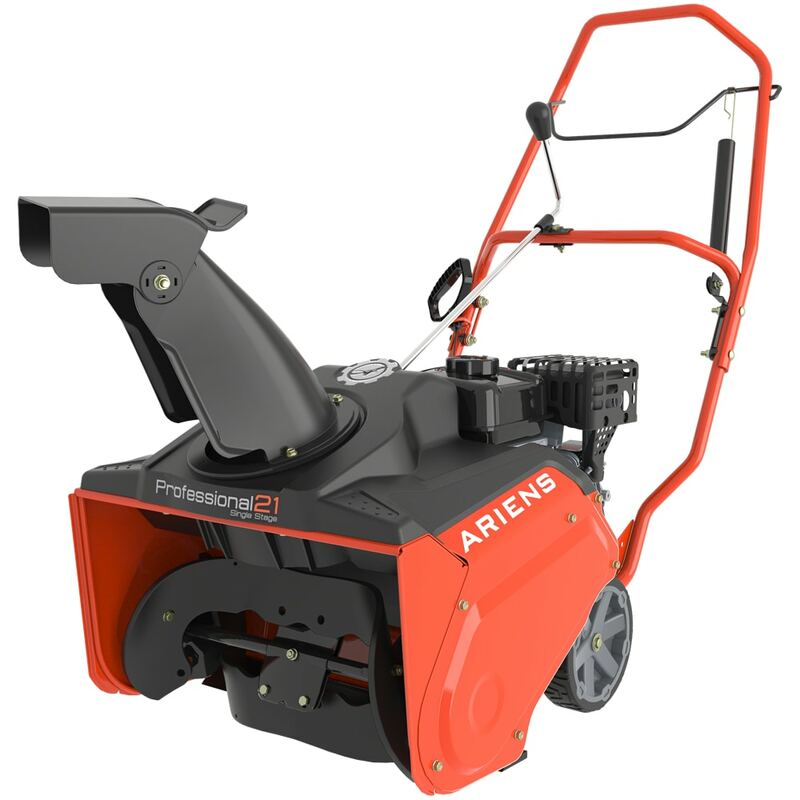 Single-stage snow blowers are the perfect size for homeowners that want to move moderate amounts of snow quickly and easily. They allow you to clear a typical sidewalk in two quick passes and easily throw snow from your driveway without feeling like you're pushing a tank. 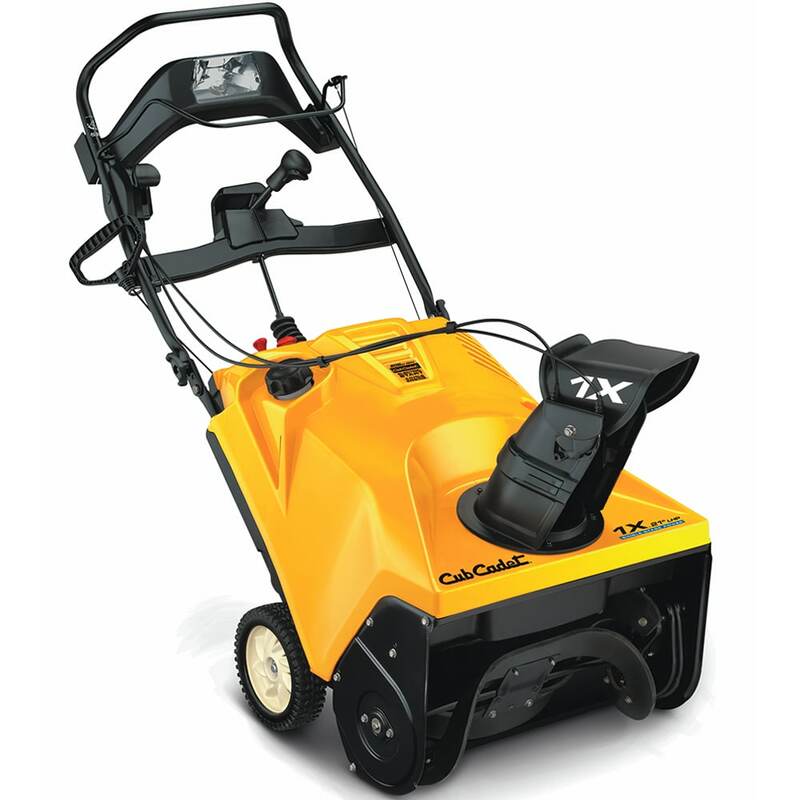 A single-stage snowblower gets its name because it essentially throws the snow once using a plastic or hard rubber auger that makes direct contact with the surface, so it should never be used on gravel. Unlike their two-stage cousins, single-stage snow throwers clear the entire surface area. As a result, drifting snow, especially on a blacktop surface, quickly melts away in the sun. Entry-level snowblowers are great for people who have smaller driveways or find themselves needing a snow blower on occasion. These units are less expensive, have lighter engines, and generally include just the basic features. If you only get light snow a few times per year, this is the best choice for you. If you don't mind manually cranking the chute and struggling against the frozen mountains at the end of your driveway, then entry-level single stages will suit you. 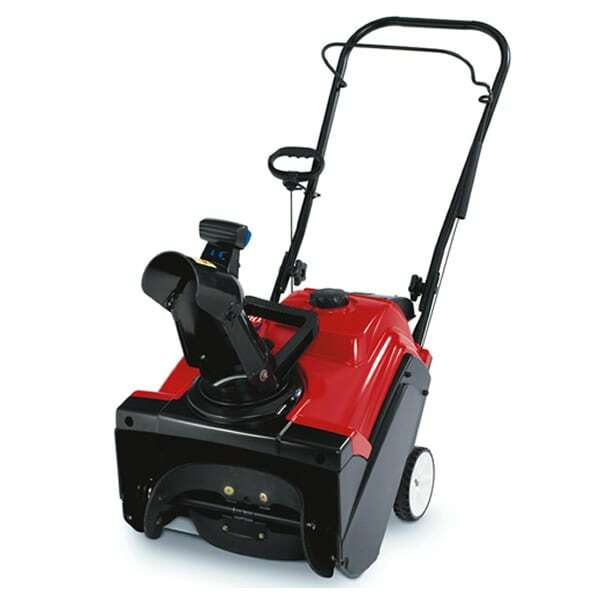 However, a mid-grade snow blower will make your snow removal job a little easier. They feature more powerful engines at higher prices, but you'll get quick-chute levers and other features that make up for it. You'll plow through snowy driveways and sidewalks much faster. Professional single-stage blowers feature rugged, yet lightweight frames that are designed to be roughly handled. You'll see landscaping crews throwing them into the back of their pickup trucks after they clear sidewalks in record time. Commercial-grade components aren't an accessory on these machines—they are a necessity. These durable throwers feature extended-life paddles that are reinforced and thicker to stand up against tough jobs. Their heavy-duty drive belts are designed to clear dozens of properties in a single day without slowing down. 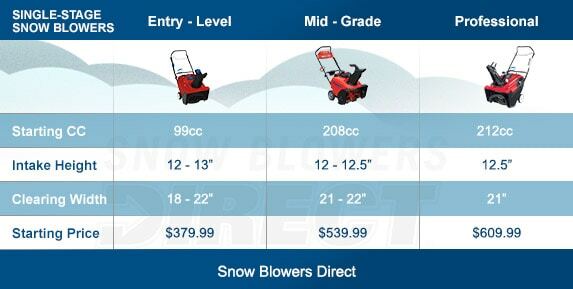 Single-Stage Buying Guide - Find Out How to Pick the Perfect Single-Stage Snow Blower. Our snowblower how-to library can help you pick the perfect single-stage snowblower, two-stage snowblower or snow blower accessory.